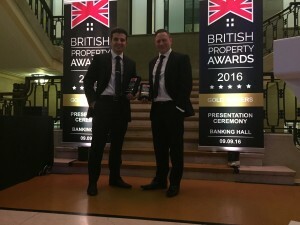 OMG – We won three golds at the British Property Awards 2016. Our team personally mystery shops every estate agent against a set of 25 criteria to obtain a balanced overview of their customer service levels. The judging criteria is both comprehensive and detailed exploring different mediums, scenarios and time periods to ensure that agents have been rigorously and fairly judged. Robert Mclean from the British Property Awards said ‘Our awards has been specifically designed to be attainable to all agents, removing common barriers to entry such as cost, to ensure that we have the most inclusive awards. Our award has also been designed to remove any opportunity for bias or manipulation. If an agent has been attributed with one of our awards, it is simply down to the fantastic service levels that they have demonstrated across a prolonged period of time. Any agent that has been attributed with our award should be proud that their customer service levels provide a benchmark for their local competition’. If you would like to sell your home with your local award winning agent then please give us a call on 01789 414 222. 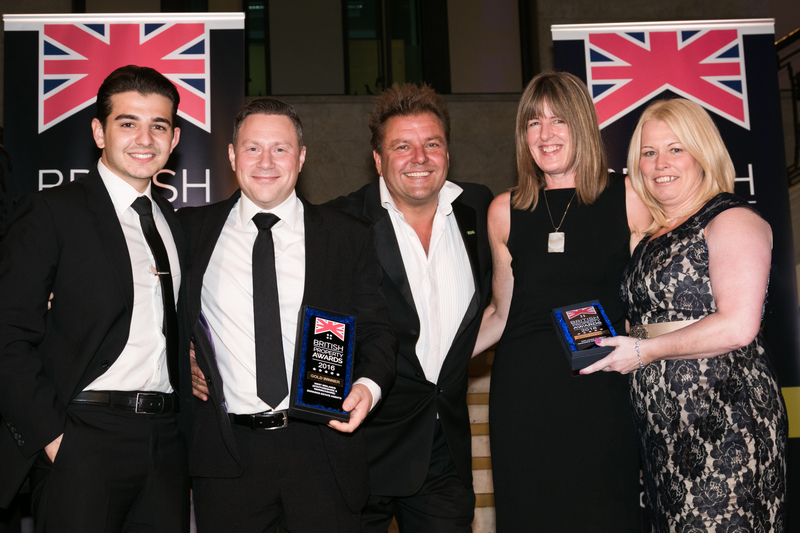 The company was named Gold winners for Stratford Upon Avon, West Midlands, Staffordshire and Warwickshire and then went onto become the gold winners of the whole of the Midlands, triumphing over hundreds of other agents. The British Property Awards provides agents an opportunity to compare their services against their locals as well as regional and national competition. It is awarded to agents who go the extra mile and have outstanding levels of customer service. Their team personally mystery shop every estate agent against a set of 25 criteria to obtain a balanced overview of their customer service levels. The judging criteria is both comprehensive and detailed exploring different scenarios & time periods to ensure that agents have been rigorously & fairly judged. It was a magical evening one that we will never forget, although there may be moments that are patchy in our memories. We would like to give a big thank you to all of the Edwards team along with our clients past and present for their continued support. 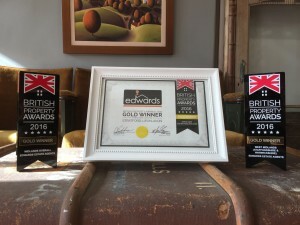 Edwards – Awarded Gold by the British Property Awards. 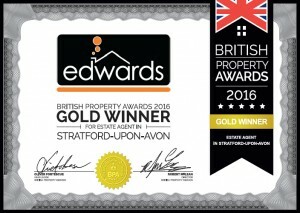 Edwards have just won The British Property Award for Stratford upon Avon and have been shortlisted for both the regional and national awards. These awards will be announced on the 9th September at their lavish ceremony, to be presented by Martin Roberts from Homes Under The Hammer. Edward Lowe Managing Director, comments; ‘I am absolutely delighted that we’ve won this prestigious award. As a team we pride ourselves on the customer service levels we give to our clients, and this award is the direct result of a tremendous amount of hard work. It’s fantastic accolade to win the award as it comes straight after winning the market share report for the most sold boards in the town. 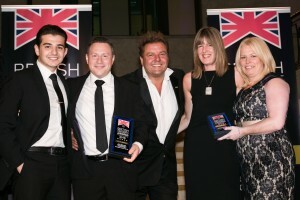 The British Property Awards are one of the most inclusive estate agency awards providers as we do not charge to enter. This has resulted in significantly more agents entering our award and enables our team to cover a higher proportion of the local marketplace. Our team personally mystery shops every estate agent against a set of 25 criteria to obtain a balanced overview of their customer service levels. The judging criteria is both comprehensive and detailed exploring different mediums, scenarios and time periods to ensure that agents have been rigorously and fairly judged. Robert Mclean from the British Property Awards said ‘Our awards has been specifically designed to be attainable to all agents, removing common barriers to entry such as cost, to ensure that we have the most inclusive awards. Our award has also been designed to remove any opportunity for bias or manipulation. If an agent has been attributed with one of our wards, it is simply down to the fantastic service levels that they have demonstrated across a prolonged period of time. Any agent that has been attributed with our award should be proud that their customer service levels provide a benchmark for their local competition’. If you would like to sell your home with your local award winning agent, then please give us a call on 01789 414 222. We offer clients complete peace of mind when they instruct us. 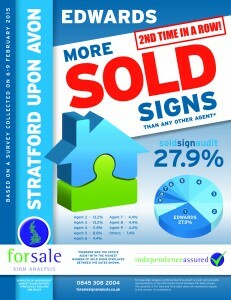 We are Number 1 for sold boards and Number 1 for customer service’. Following a fast start to the year, we have just been announced as the estate agent with the most sold boards in Stratford upon Avon. 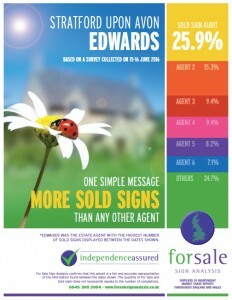 The independent survey of estate agents boards by For Sale Sign Analysis, the supplier of independent, unbiased market share reports, shows that Edwards have more sold signs on display than any other estate agent in the Stratford area. So, if you’re thinking of selling your property in the Stratford upon Avon area, then please give is us a call. 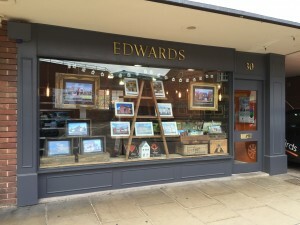 Edwards – New look show room. After so many years of looking at boring plastic window cards we’ve taken the plunge and decided to do something completely different. We’re breaking the mould of boring estate agents windows helping our clients properties stand out from the crowd! All off the items in the window were sourced locally. The response we’ve had to our bold new look has been fantastic – thank you to all concerned. 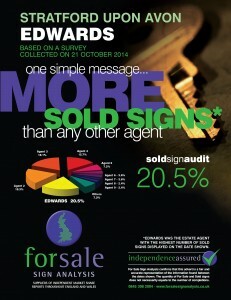 Edwards – Everything we touch turns to sold – again! 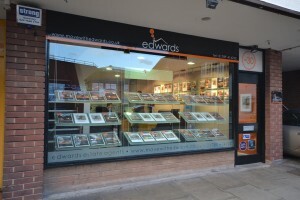 In the most recent independent survey of estate agents boards by For Sale Sign Analysis, the supplier of independent, unbiased market share reports, shows that Edwards have more sold signs on display than any other estate agent in the Stratford area an accolade that they have won for the 2nd time in a row. “I am absolutely thrilled to have won for a 2nd time in a row, to retain our title as the top selling estate agent in Stratford upon Avon feels fantastic and is the direct result of our dedication to exceeding customers expectations which is clearly shown with over 40 5* reviews. The results also show current & potential sellers that a positive, proactive approach to selling property can go a long way in a challenging climate.” explains Managing Director Edward Lowe. and sellers considering moving in 2015 should think about taking action now if they want to be moved into their new home by the summer. Stamp duty (not the collecting kind) or Stamp duty land tax – to give it its full name – is a lump-sum tax that anyone buying a property or land costing more than a set amount has to pay. The rate you’ll pay the tax at varies based on the price of the property and the type (we’ll focus on residential, rather than commercial, buildings). Changes to stamp duty were announced by the Chancellor’s Autumn Statement on 3 December 2014. 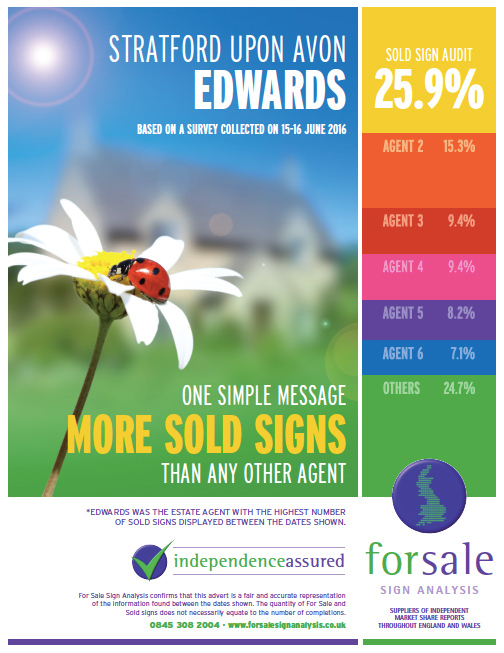 In the most recent independent survey of estate agents boards by For Sale Sign Analysis, the supplier of independent, unbiased market share reports, shows that Edwards have more sold signs on display than any other estate agent in the Stratford area. 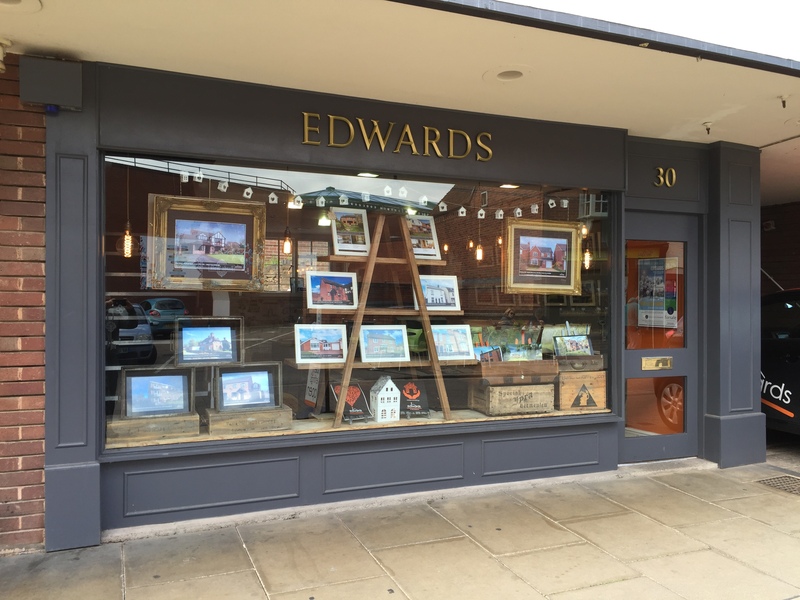 Edward Lowe Managing Director comments; ‘I am delighted to have won the accolade of the most sold boards in Stratford, this is a direct result of a tremendous amount of hard work and dedication shown by the team’.